If you require an estimate or to book a vehicle, please enter your details below and we will contact you ASAP. 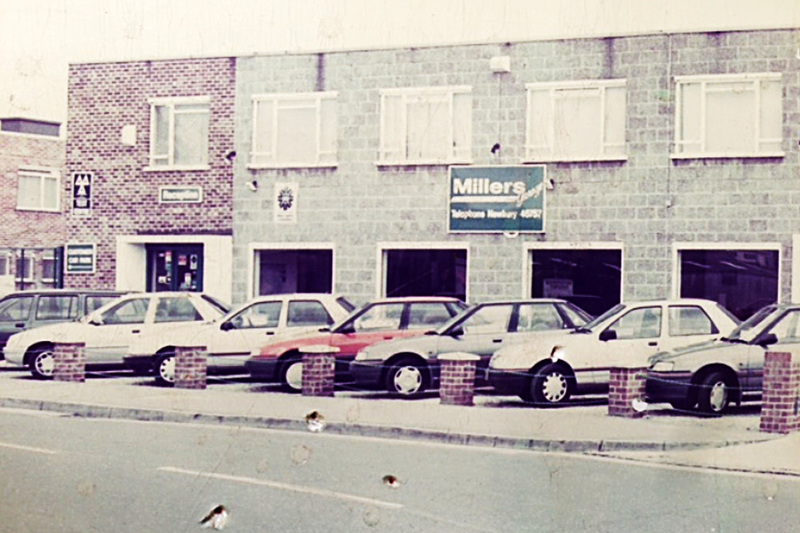 Welcome to Millers Garage Newbury, we are family run business founded by Glenn Miller in 1983. Our ethos "Trust, Honesty, Quality and unrivaled technical ability" has been at the core of everything we have achieved over the last 35 years. The investment in our staff, equipment and training is unheard off in the industry and it is this that makes us a genuine alternative to the main dealer in Berkshire and countywide for VW, Audi, Mercedes-Benz, BMW-Mini, Volvo, Jaguar-Land Rover, Ford, Vauxhall, Fiat, Kia, Nissan, Citroen. We also offer MOT, Service and Repairs on all makes and models. We offer the same quality level servicing that you would experience at the main dealer. But as a family run business we offer you the personal touch. We know how busy life can be so let us take that stress away from you when visiting the garage, with your own personal service advisor let Millers Garage do all the hard work. 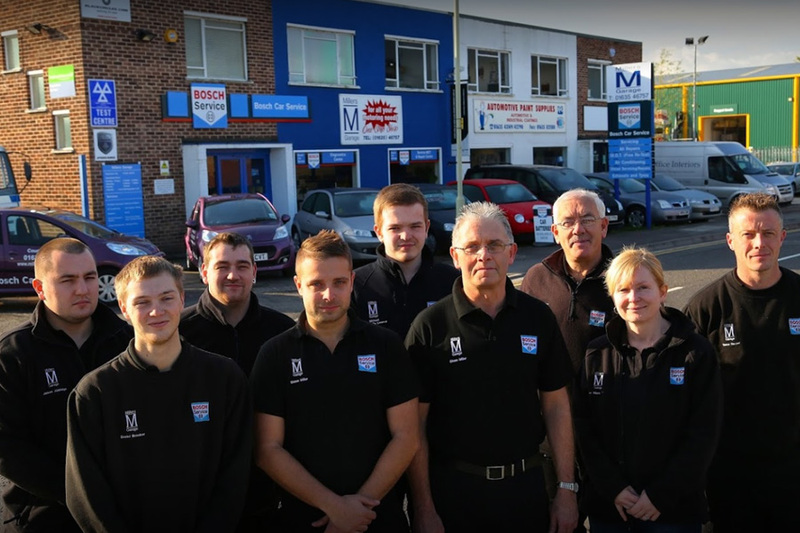 Whether its something as simple as an MOT, a vehicle service, vehicle repair or a job far more involved job like a diagnostic, an electrical issue or a vehicle software update we have the team, technology and the passion to take the job on. We are proud member of the industry leading Bosch Car Service network, so you can rest assured your vehicle is in the best possible hands. At Millers Garage like everything we do we're very passionate about our customers, we are very active on social media and we like to interact with our followers. Like our page to get involved, we share some of the different type of jobs we do, latest news and information on new services we offer. Been using Millers for my VW Fox for a few years now. They are a friendly and helpful team who offer sensible advice about the best next step for your car. They have gone out of their way to drop off my car at my place of work when picking up my car was logistically a challenge. My car came back from it's recent service running better (and looking cleaner!) than it has for a while. Highly recommended. With my main Ford Dealer in Christchurch, Dorset unable to offer the gearbox oil change on our Ford Galaxy that we needed/wanted we google-searched and found Millers Garage who carried out a full gearbox oil change and clean. The difference it has made to the car was well worth making the journey from Christchurch. Staff were courteous and efficient. Highly recommended. Thank you. I've been using Millers for MOTs and Serving for a few years now and would definitely recommend them. They're always helpful and friendly and I trust them to give a fair and honest view on what needs doing. They clearly care about the quality of their work and reputation which is an advantage of going to a independently-run business rather than a chain.